Lori Elliot, 31, lives with her family in Raleigh, North Carolina. She was diagnosed with breast cancer in 2014 and is now cancer free. 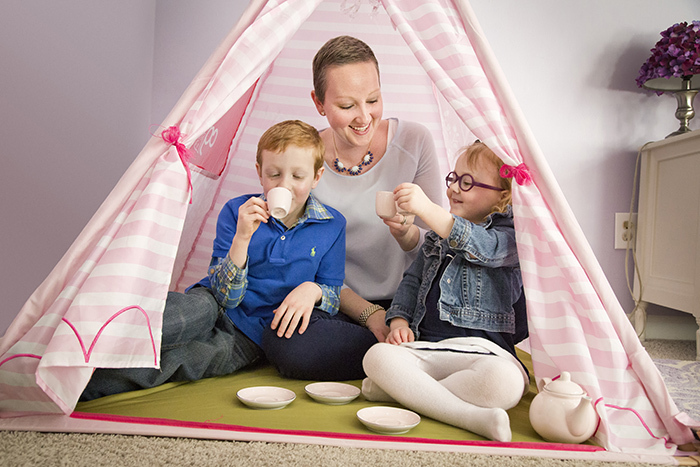 She is photographed playing “tea time” with her children, James and Grace.